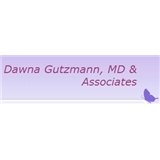 Dawna Gutzmann, MD and Associates (Chicago) - Book Appointment Online! Since each individual is unique, no single approach is effective for everyone. We listen to the needs of each client and discern what tools at our disposal would best support their health & assist them in reaching their goals. It is also important to us to use methods that will provide our clients with tools that they can use on their own for healing, whenever possible. The online registration must be completed before appointments are confirmed. Payment is expected for appointments missed or cancelled with less than 24 hours notice. She is very professional, very personable. I felt right at ease. Looking forward to meeting with her again.